Myofascial Release is a hands-on means of helping the body restore natural function. 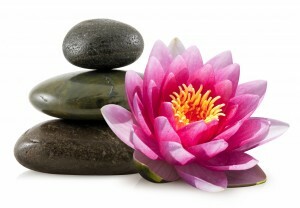 LIV Integrative Health uses massage as a means of healing. We begin by assessing every patient to assess what areas of the body need treatment. This will allow us to formulate a Myofascial Release program that goes well above relaxation. We offer many different, and effective forms of Myofascial Release to our patient; sports massage, Swedish massage, deep tissue massage, maternity massage, and much more. Massage is a ways to manage pain, improve flexibility, and have an overall positive effect on your well-being without the use of medications. Massage therapy is one of the oldest health care practices known to history. References to massage are found in Chinese medical texts more than 4,000 years old. Massage has been advocated in Western healthcare practices at least since the time of Hippocrates, the”Father of Medicine.” In the fourth century B.C. Hippocrates wrote, “The physician must be acquainted with many things and assuredly with rubbing” (the ancient Greek term for massage was rubbing). Today, massage is one of the most popular healing modalities. It is used by conventional, as well as alternative, medical communities and is now covered by some health insurance plans. Massage therapy is the scientific manipulation of the soft tissues of the body for the purpose of normalizing those tissues and consists of a group of manual techniques that include applying fixed or movable pressure, holding, and/or causing movement of or to the body. While massage therapy is applied primarily with the hands, sometimes the forearms or elbows are used. These techniques affect the musculoskeletal, circulatory, lymphatic, nervous, and other systems of the body. The basic philosophy of massage therapy embraces the concept of vis Medicatrix naturae, which is aiding the ability of the body to heal itself, and is aimed at achieving or increasing health and well-being. In practice, many massage therapists use more than one technique or method in their work and sometimes combine several. Effective massage therapists assess each person’s needs and then use the techniques that will best meet those needs.